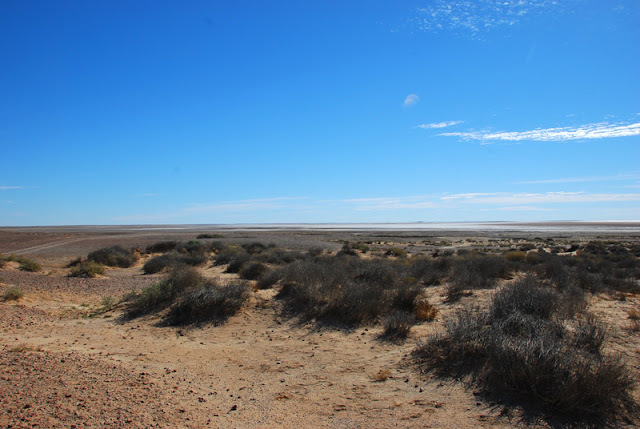 If Lake Eyre was eerie, its Southern sister didn't do a bad job in the strange department either. A lot easier to access as there is a viewing platform on the side of the Oodnadatta Track, the dunes and black tufty grass make for a fair impression of some sort of alien beach scene. All the birds are roosting on an island in the middle, some thirty kilometres from here, well over the horizon.